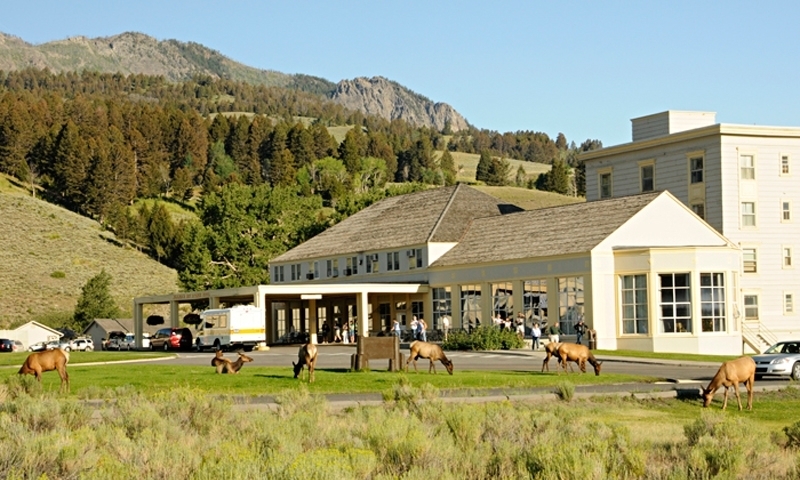 Nestled in a spectacular setting, Mammoth Hot Springs Hotel and Cabins are just a short walk from the Mammoth Hot Springs Terraces in Yellowstone National Park. Book Online. 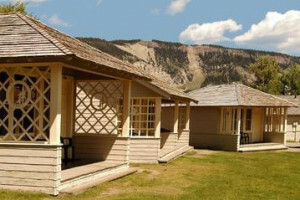 The Mammoth Hot Springs Hotel & Cabins offers a warm welcome, summer and winter. 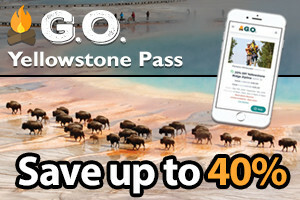 Spot grazing elk, visit the nearby springs, and experience all that Yellowstone has to offer. 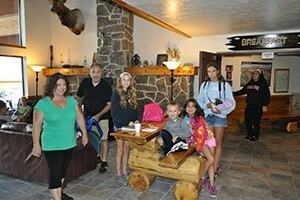 Mammoth Hotel & Cabins will be your accommodations host as part of our 6-day, 5-night package inside Yellowstone Park. See wildlife, hike the trails and return to comfort. If Mammoth Hotel is sold out, we often have rooms or suites available. Just a mile to the Gardiner entrance of Yellowstone. See rates and book ONLINE. Where are the Mammoth Hot Springs Hotel and Cabins? Mammoth Hot Springs Hotel is located at Mammoth Hot Springs on Grand Loop Road. GPS: 44.976200, -110.701633. 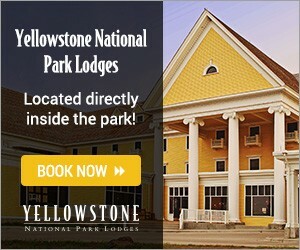 You can reserve a room by calling Yellowstone National Park Lodges: 307-344-7311 or 866-GEYSERLAND (439-7375). Or Book Online. Winter Season 2016-2017 AND 2017-2018: Mammoth Hot Springs Hotel and Cabins will be undergoing remodeling during the winter seasons only of 2016-2017 and 2017-2018. The hotel and cabins will be open for the winter season again in December 2018. Room Types: Suites are luxurious rooms with 2 queens in a private bedroom, a sitting room, and cable TV. Rooms With/Without Bath are simple and comfortable, usually with 2 queen beds. Frontier Cabins are simple cabins with a private bathroom. Hot Tub Cabins are similar to the Frontier Cabins but come with a private 6-person hot tub. Budget Cabins are simple and rustic with a shared bathroom. Budget 2-Room Cabins are simple a rustic with a shared bathroom. Amenities: Dine in any one of the two restaurants, or enjoy a drink in the lounge. Note that WiFi is available for purchase in the Lounge. There is no air conditioning, TVs (other than in the suites), and radios. Things to Do: First stop should be Mammoth Hot Springs Terrace and your second project should be driving the Terrace Drive. Visit the Park headquarters, which radiates history and features some of the oldest buildings within park boundaries. Hiking is always a favorite here, and you’ll discover some great trails with incredible views, like Beaver Ponds Loop Trail, Bunsen Peak Trail or Osprey Falls Trail. 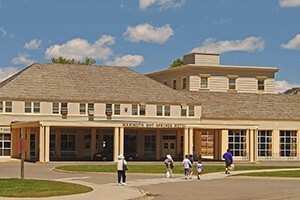 The Albright Visitor Center and Museum is open all year, where you can browse history exhibits, watch a film and walk through the wildlife museum. Getting Here: Xanterra now offers daily shuttle service between Bozeman Airport and Mammoth Hot Sprigs Hotel in the winter months for around $50/person. Ask for more informtion when you book your hotel room. Lodging in Grand Teton National Park. Stay in a cozy cabin in Jackson Hole Wyoming.